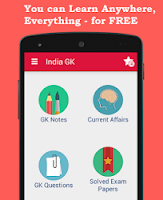 23, 24 January 2018 Current Affairs MCQs, Quiz, Questions: Current Affairs for January 2018, Daily Multiple Choice Questions (MCQs) for India GK, World GK and current affairs with Collection of daily objective type Question by www.Indiagk.net based on General Knowledge (GK) and General Science (GS) Questions for UPSC, State PSC, SSC, Police exam, Railway exam, SBI, Bank PO, IBPC, SSC, LDC, UDC, Army, Airforce, Navy, Coast Guard, Bank Clerk, TET and all entrance examination with current affairs News, Multiple Choice Questions (MCQs) available on Website www.IndiaGK.net and Android Apps with daily updates:. Which film was nominated for 13 Oscars in the nominations for 2018 that were announced on 23 January 2018? Which country to host the 6th edition of ICC Women’s World Twenty20 2018? On 24 January 2018 which company became the second company to achieve Rs. 6 lakh crore market capitalization?